“The Lamentable Tragedy of Sal Capone” (left to right): (Left to Right) Billy Merasty, Letitia Brooks, Kim Villagante, Tristan D Lalla, and Jordan Waunch. Black Lives have mattered to me long before it was trendy. My parents, proud products of the 1960’s civil rights era black empowerment movement, shaped my young mind covertly by exposing me to art with messages of self-determination and political dissent. Our home library was filled with books by revolutionary black artists/thinkers: James Baldwin, Alex Haley, bell hooks. As I got a bit older, I was weaned on a steady diet of radically left-leaning agitprop with dope beats known as hip-hop music. I immersed myself in hip-hop culture at a time when afrocentricity and knowledge of self were corner stones of the movement. Legendary rap super group Public Enemy was my gateway into the teachings of revolutionaries such as Malcolm X, and the movies of trailblazing director Spike Lee. My first experience with live theatre was the subtle yet politically subversive Dreamgirls. The confluence of art & politics has always been intertwined for me. Fittingly, my first professional roles in the theatre merged the political with the artistic. I started out working for Montreal’s Black Theatre Workshop, a company whose very existence is a political statement in line with my parents’ early teachings. I was empowered there by embodying complex and challenging characters in great political works by master playwrights such as South Africa’s Athol Fugard, Canada’s Andrew Moodie and the UK’s Joe Penhall – great artists who consciously pushed themselves to use theatre as a tool to bring social awareness to the masses on a visceral level. By my mid-twenties I understood what great American writer Toni Morrison meant by the saying “all good art is political.” In fact, I didn’t even qualify the statement with the adjective “good.” To me, the making of art, particularly for marginalized people, is inherently political. Even at an early age, I was acutely aware of the complexities associated with being young, black, and male. I was gifted with effortless “street cred” by classmates while in school. I was also considered dumb by a select but not insignificant number of teachers and other authority figures, regardless of consistently strong academic performances. A far more insidious downside was the assumption of criminality or threat by some others. The tension caused by growing up in this contradictory state of being both revered and reviled sparked an unquenchable desire to thoroughly explore all sides of the complex issues surrounding matters of race and ethnicity. In 2008, when I first learned about the shooting of unarmed, 18-year-old Fredy Villanueva at the hands of Montreal police, I was despondent. As I finally began to emerge from a state of existential despair, my first instinct was to channel my emotions into art: a slam poetry piece that gave voice to the rage I felt towards law enforcement for taking the life of a young person of colour. My friend and mentor Diane Roberts, former Artistic Director of urban ink productions, suggested I expand and explore all of my feelings and write them into a full length piece. This series of events were the catalysts to my transition from stage actor interpreting characters in other writer’s worlds, to playwright, sculpting my own unique impressions of the society in which I live. The result was the completion of my first play, The Lamentable Tragedy of Sal Capone, a hip-hop theatre piece that centres around the fictional story of a police officer who fatally shoots a young black man, and the fallout that followed. Poster from “The Lamentable Tragedy of Sal Capone”, presented by urban ink productions in association with Black Theatre Workshop. After a rigorous 5-year development process, my greatest fear was that the story would no longer be relevant by the time it opened to the public. I couldn’t have known that a pandemic of young black men dying at the hands of police would spawn the #BlackLivesMatter movement a few years later in 2012. My play, that started as a personal response to a tragedy that hit close to home, evolved into a battle cry, calling for justice and accountability for the countless black men and women killed by law enforcement under questionable circumstances. I was pleased to quickly learn that the play resonated with its’ diverse audiences in every city it played in, from the Yukon to Vancouver and Montreal. The show consistently pulled in crowds from demographics that aren’t traditionally drawn to live theatre: young people, visible minorities, and people heavily influenced by hip-hop culture. While sitting in the audience, it’s fascinating to watch young people nod their heads to sound designer Troy Slocum’s soundscape of dope Hip Hop beats. It’s been satisfying to see both young and old audience members laugh at the political humour. (The play debuted near the tail end of Stephen Harper’s long reign as PM. His leadership style, which was often oppressive towards minorities, immigrants, progressives and young people was not spared any criticism in the piece.) It was equally fascinating learning of some members of Black Theatre Workshop’s long-time subscriber base leaving weekend matinees disgusted by the “vulgar” language and acceptance of “the LGBTQ lifestyle” expressed in the piece. I’m proud to have made a small contribution to the legacy of artistic expression as a tool for social change. This concept had an immeasurable impact on my worldview and personal politics from a young age and my hope is that the work can play a part in empowering the up and coming generation to share their voice. It has been my experience that an individual’s heart and mind can be reached in the collective solitude of a dark theatre. There’s a quiet peace that can be achieved when we listen, laugh and learn amongst a diverse crowd that temporarily penetrates the barriers that keep us separated. My humble aim is to create work that constantly strives to achieve this goal and inspires the next generation, particularly people of colour to add their voices to the conversation as well. If all art is political, it’s essential that a diversity of voices take part in the process. 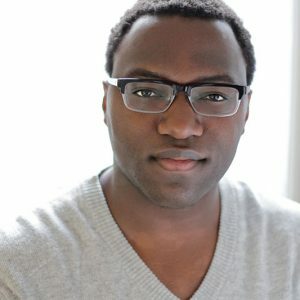 Montreal-born artist Omari Newton is a professional actor & writer whose work has been featured on stage, screen and radio. He's been a series regular on critically acclaimed Showcase original Sci Fi show Continuum (Lucas Ingram) and cult comedy classic Blue Mountain State (Larry Summers). He has made appearances on hit shows Supernatural, The X files, Fringe and many more. Fans of animation may recognize his voice from projects such as Disney XD's Max Steel, Marvel Knight's Wolvernine VS Sabertooth (Black Panther). As a playwright, his work has been showcased across Canada. His Hip Hop Theatre piece "The Lamentable Tragedy of Sal Capone" has toured Canada, earning a best original script nomination from the Montreal English Theatre Awards (METAS) and critical acclaim across the nation. He has performed original slam poetry pieces with a social justice emphasis on college Campuses and High School auditoriums across Canada. He is the inaugural chair of UBCP/ACTRA's Diversity and inclusivity committee. A proud feminist, he is resolved to continue his work towards making this place a little more inclusive for marginalized, disenfranchised people.